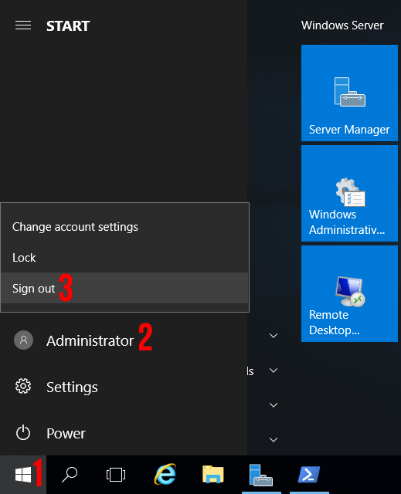 The new Windows 10 style interface that has made its way into Windows Server 2016 has left some late adopters a little confused, here we’ll cover how you can easily log off. There are a few different ways to do this, we’ll cover some different methods of logging out through both the graphical user interface (GUI) and command line interface (CLI). Left click the Start button from the bottom left corner. Left click your username from the top left corner of the start menu. Right click the Start button from the bottom left corner. Hover over “Shut down or sign out”. Press the “Alt + F4” keyboard combination. 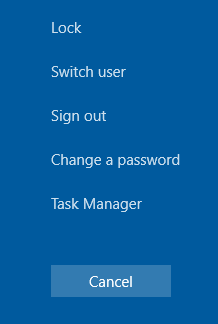 From the Shut Down Windows pop up that opens, change the “What do you want the computer to do?” drop down to “Sign Out” and click the OK button. Press the “Ctrl + Alt + Del” keyboard combination. If you are logged in through a virtual machine console, you may instead need to use “Ctrl + Alt + Ins”. From the options available on the blue screen that appears, click “Sign Out”. This is typically done with the logoff command. Open Command Prompt or PowerShell. Type ‘logoff’ and press enter to be logged out immediately. Alternatively you can use the ‘shutdown -l’ command. 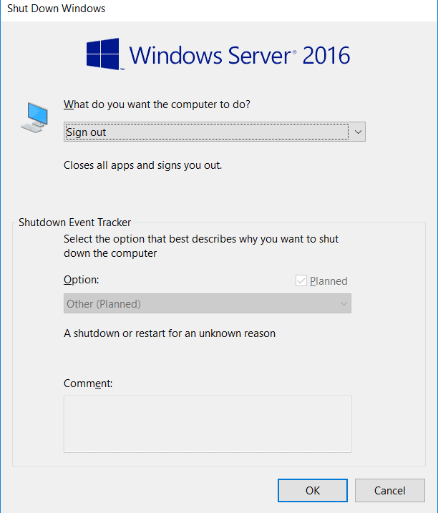 There are a few different ways to sign out of Windows Server 2016 from either the user interface or command line as demonstrated.